The meteor crater near Odessa is not as spectacular as the meteor crater in Arizona. 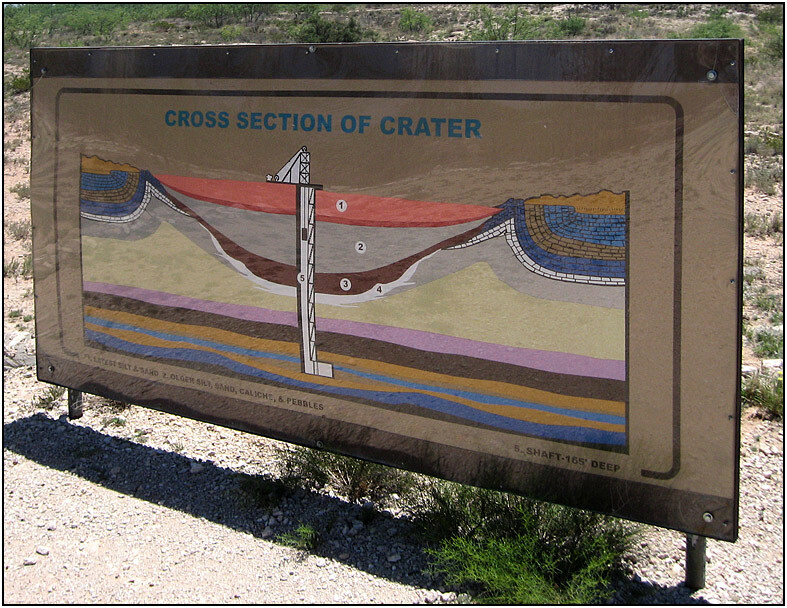 This sign describes the layers of the crater. The thing in the middle is a shaft drilled to explore its layers and depth. There's an air-conditioned (thank god) building nearby with displays of meteorites, extraterrestrial Tektites and other rock stuff.